Reflections of your good taste! Brick Glass Group has been in the glass and shower door business for over thirty years. The design and installation of shower doors, from the standard sliding door to the all glass frameless enclosure, is large part of our business. Our high quality shower doors along with custom mirror designs can make your renovation, addition, or new construction shine. Our dedication, knowledge, and craftsmanship in the glass industry has led us to be the leader in customer satisfaction. Remaining dedicated to these same principles will ensure us on being here well into the future for our customers. Our abilities and products currently cover a wide range of both the residential and commercial needs of our customers. While you will find these to be extensive, we are always looking for new products and technologies to help serve you better. 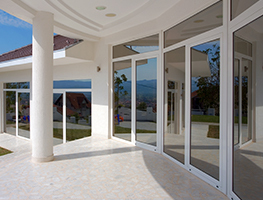 As this web site is developed and becomes a valuable resource for you, our dedication to service and quality products will become as clear as low iron glass.